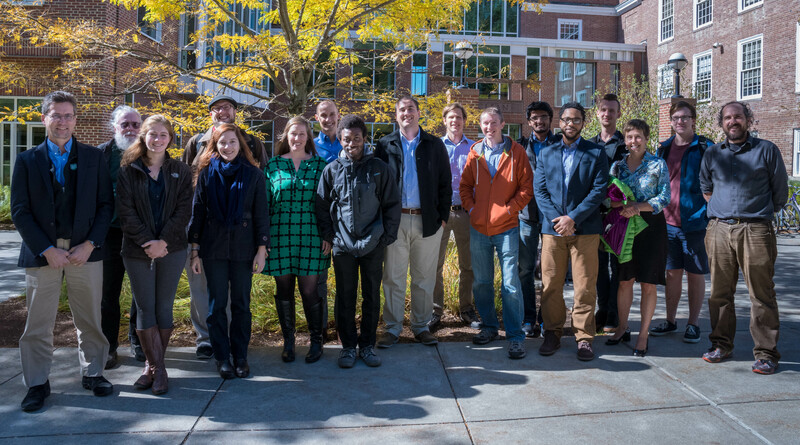 The Amulet research group fall 2016 (L to R): David Kotz, Ron Peterson, Emily Walters, Joe Skinner, Vivian Motti, Kelly Caine, Jacob Sorber, George Boateng, Josiah Hester, Gunnar Pope, Steven Hearndon, Varun Mishra, Byron Lowens, Kevin Storer, Sarah Lord, Taylor Hardin, Ryan Halter; missing Emily Greene and Emma Oberstein. 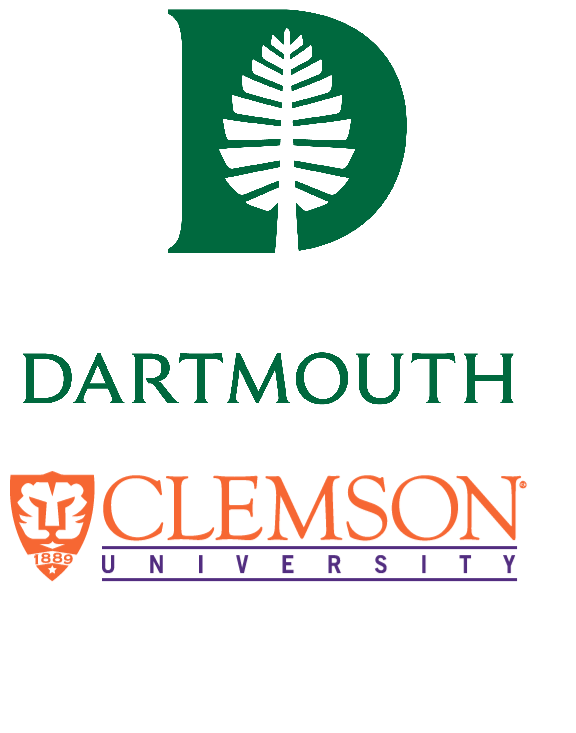 A large portion of the Dartmouth & Clemson teams gathered on the Dartmouth campus today for an intense research retreat. 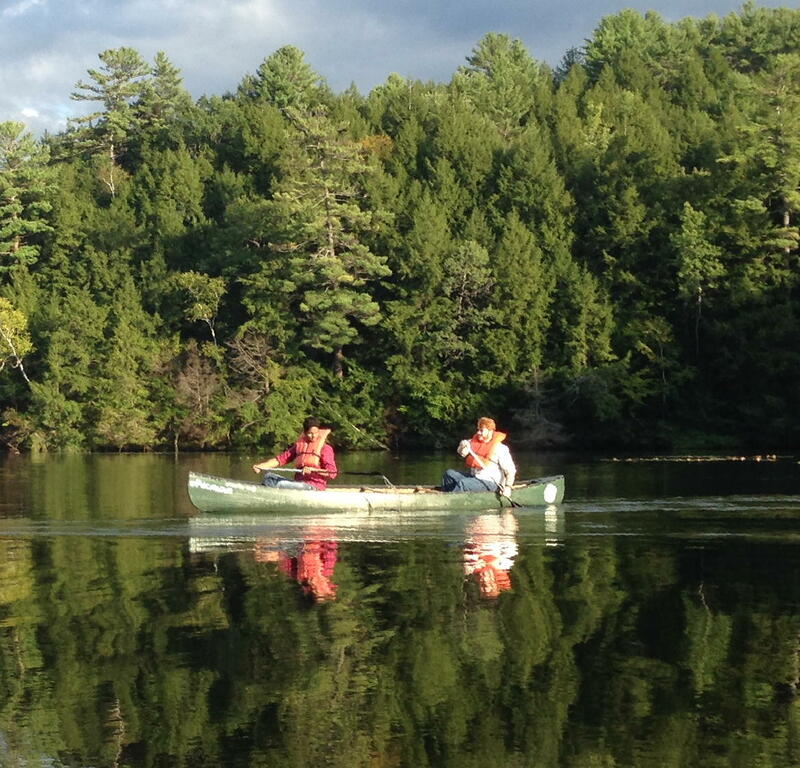 We kicked off the event yesterday with a paddle on the scenic Connecticut River, alongside campus.